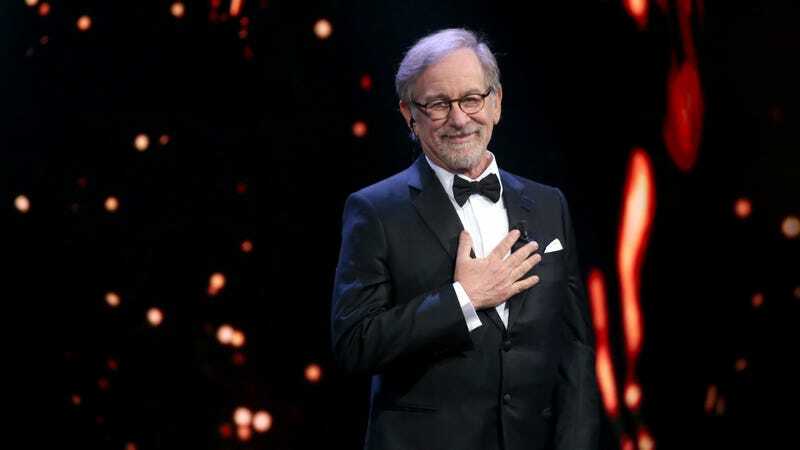 For a while now, streaming movies produced by Netflix and other on-demand services have become eligible for major awards like the Oscars by doing very brief theatrical runs, and it turns out that Steven Spielberg thinks that’s a pretty stupid loophole. While speaking with ITV News (via IndieWire), Spielberg suggested that the relative ease of dumping a movie on Netflix doesn’t bode well for the future of the filmmaking experience. “Fewer and fewer filmmakers are going to struggle to raise money, or to compete at Sundance and possibly get one of the specialty labels to release their films theatrically,” he said, adding that directors will be drawn to streaming service like Netflix because it could be a slightly easier track to winning awards. “I don’t believe that films that are just given token qualifications, in a couple of theaters for less than a week, should qualify for the Academy Award nominations,” he said.